The coveted brand, Anita Dongre introduces this top, which is a perfect infusion of style and utility. 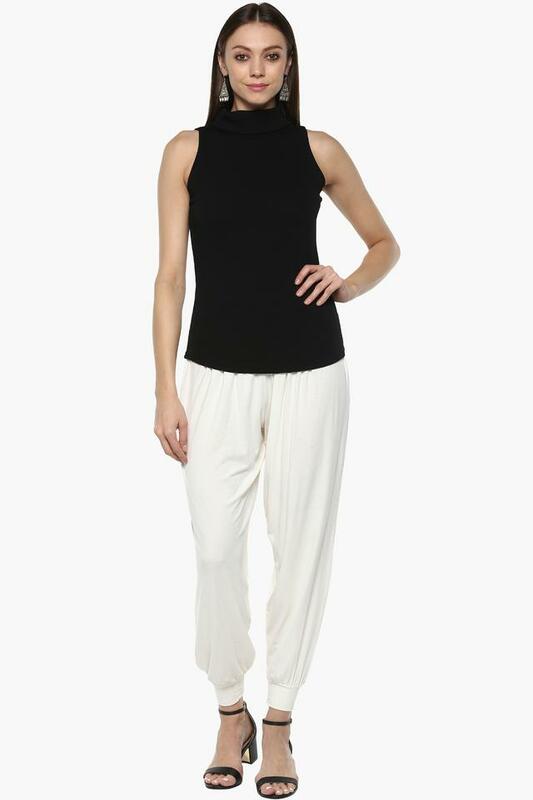 Featuring a turtle neck, it comes with a sleeveless design that adds a distinct touch of style. Besides, it is tailored to perfection using fine quality fabric which will deliver you a day long comfortable wearability. Walk the streets like a diva by wearing this top. To get ready for any casual outing, you can team it with a pair of shorts and slip on sandals.